Inkco create eye-catching cartoons and build compelling online games, employing a distinct and recognisable style. We are passionate about ideas and respond to briefs with creativity and imagination, using our expertise to ensure what we deliver meets our clients&apos; high expectations. Cartoons and games are engaging, encouraging repeat visits / viral distribution and are a useful tool to market your brand and educate your customer base. Jabble is one year old! For those not in-the-know, Jabble is a safer social network for children. 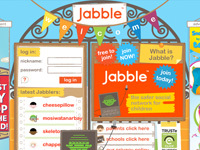 Jabble is a website that teaches children about potential online risks in a fully moderated environment with parental tools. To find out more and to register a free account, visit jabble.co.uk. We created a one minute info-graphic animation to tell schools and parents about our new, improved website Jabble. 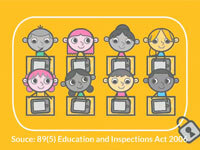 Jabble helps schools fulfil requirements outlined in the new Computing curriculum such as Digital Literacy and eSafety. The info-graphic format enabled us to deliver these changes along with facts and statistics in a fun and entertaining manner. To find out more about Jabble visit jabble.co.uk. Jabble Play app coming soon! 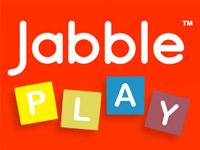 Soon to hit the App Store: Jabble play an app for a younger audience to learn and discover through play. Employing the Jabble brand, children are presented with a series of digital tasks which they have to solve in order to progress to the next stage. An optional time limit adds an element of urgency. Showreel from Inkco on Vimeo. We are always looking for talented animators, character designers and developers. Email us at info@inkco.co.uk with examples of your work.